I invite you to take a look at the schedule page here, to see where she might be heading your way. She is in the air more than on the ground as of late, but when she is here she is Narrating a new Docu- series on CBC TV – True North Calling, or writing the entire LIVE National TV Broadcast for Aboriginal Peoples Television Network (APTN) AbDay LIVE 2017 – 7 stages set out across the country, PLUS Candy will be your host for the Halifax Stage this year – June 21st, 2017 for National Aboriginal Day! Hoping you had a marvelous and safe holiday season and great beginning to the 2017 year. So many exiting projects in the works for Candy Palmater this new year, and still a few we simply are not allowed to let out of the secret bag yet. One will be coming your way in just a few short weeks. For now we are pleased to announce Candy can be seen LIVE for a public performance at the Moncton Hubcap Comedy Festival where she will be hosting the Gala night on February 9th, 2017. Get your tickets fast before they are gone. Candy performs for Corporate functions so it is a rare sighting to have her perform public shows. Hope you can come for some great laughs with Candy and the other wonderful comedians on what will be a glorious night of entertainment. The Candy Palmater Show has now ended for the summer and you can catch Candy on CBC Radio q weekday mornings. She will be hosting the National program until October 21st, 2016. There are many more projects in the hopper, information cannot be released as of yet. Stay tuned and be rest assured that Candy will still be around. Thank you for your concerns and worries. Later this fall Candy is traveling for speaking gigs and events all around our wonderful country. Many of these events are corporate therefore private. Thank you for your continued support, love and we are reading all the mail and social media notes sent to us. We apologize for not responding right away to your messages, keep em coming and we will reply. Candy loves your heartfelt kind words and love. Just wanted to type out a quick note – and please check out our social media accounts . Our website will be undergoing a major over haul soon…….. I will keep you posted, and stay tuned. 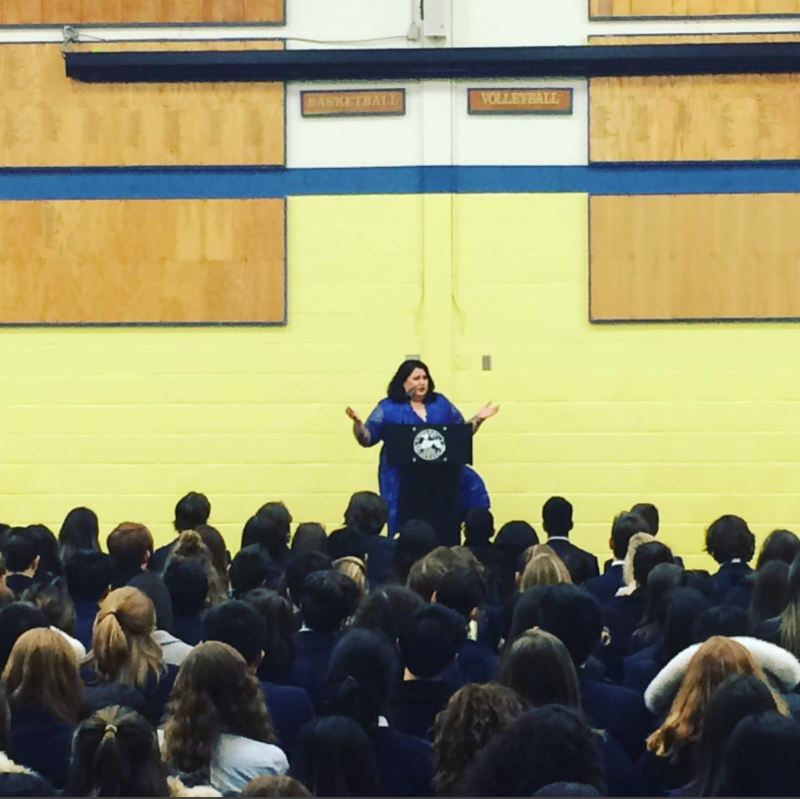 The Candy Palmater Show has two weeks under her belt and what an awesome ride thus far. Candy Palmater and her team have been working extremely hard and diligently to bring the country content, music, stories and thought provoking inclusiveness to all the listeners. Feedback has been extraordinary and we Thank you for listening. Tune in WEEKDAYS 1-3PM EST to CBC Radio one, The Candy Palmater Show. On Netflix right now! New complete Season of Trailer Park Boys 10, and Candy is here to play… well, Candy, but the alter ego Candy. Be sure to check it out. More huge news to come for the iconic Canadian/ International TV and Radio personality/ actor/ speaker. Be sure to subscribe to the website to not miss the huge news coming in a month.